Leafy greens– nutritious, easy to grow, and versatile. We love ’em, so University of Maryland Extension’s Grow It Eat It Action Team has designated 2012 as The Year of Leafy Greens. 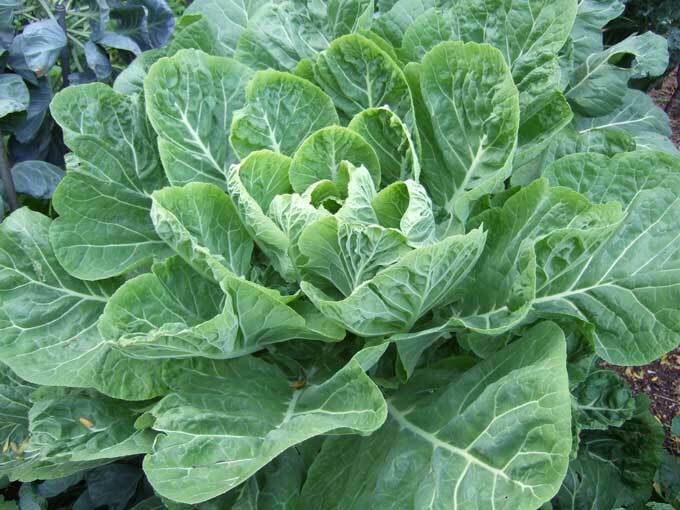 We also think leafy greens can be “gateway” plants to hook beginner adults and kids on the joys of food gardening. ‘Lacinato’ kale, ‘Lark’s Tongue’ kale, ‘Sorrento’ broccoli raab, ‘Southern Giant’ mustard,‘Champion’ collards, ‘Rainbow’ chard, ‘Red Giant’ mustard, ‘Red Malabar’ spinach, ‘Drunken Woman’ leaf lettuce, ‘Slow Bolt’ leaf lettuce. Mid-Atlantic gardeners have already started sowing leafy greens indoors and some of us are still harvesting our overwintered greens! Please send us your tips, photos, and recipes to share with the GIEI Network. Let’s get out there and grow, eat, and enjoy our leafy greens! “gateway plants” – I love it!!! I'm on it! I started collards indoors three weeks ago and they sprouted and grew so fast that they are on the porch hardening off already. I also have some kale under the lights. The new kid on the block is something called Tyfon Holland Greens. It germinated almost overnight and is going like gangbusters under the fluorescent lights. I've never tried growing it before, but the catalog said I should have enough greens to feed an army! I've been curious about Tyfon greens. Let us know how they do for you in the garden. Hey, slow down! I haven't cut my last head of Red Sails lettuce from my mini-greenhouse yet! Leafy greens–munch, munch–at least my Red Sails lettuce!